Eggs and breakfast time have been going well together since the dawn of man, but eating the same fried or scrambled eggs each morning can get boring and monotonous. 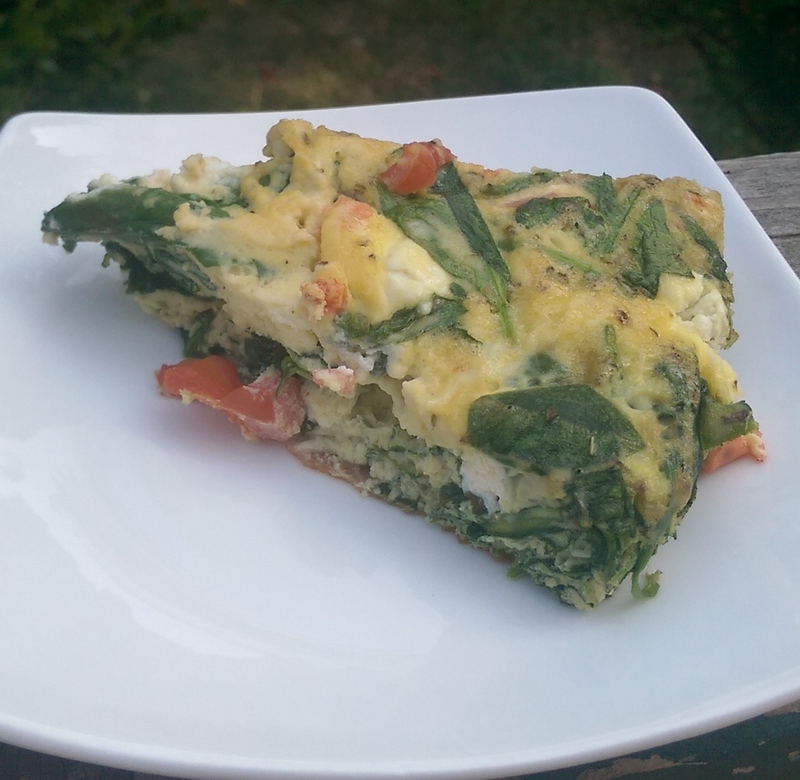 Invigorate your mornings with this delicious and hearty frittata. 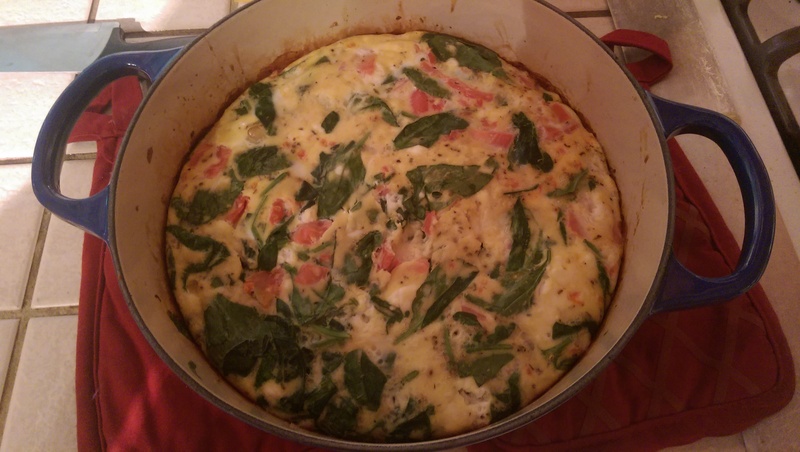 Filled with spinach, tomatoes, and feta, it’s a delicious way to kickstart any morning. Try your today! In a container, add the heavy cream to the eggs, and start beating the eggs to form an orange colored mixture. In a cast iron pot or pan, heat up some olive oil over e medium-high heat. Add the garlic and begin sautéing. Once the garlic begins cooking add the spinach and sauté with the garlic. Sauté until spinach is cooked. Lower the heat and add the egg mixture and tomatoes. Once there the egg base is cooked, put the pot/pan in the oven and let bake for about 10-15 minutes. Let cool on counter for 5 minutes.